At the core of this specialty is continuity of care. Through long-term awareness of the environment, concerns and conditions of a given patient, family physicians can raise the quality and lower the overall cost of care. When a family physician is doing their job right, subspecialists — like the exceptional foundation of subspecialists of Northwestern Medicine — are only seeing those individuals who most need their care. Physicians in this specialty can take care of 80 percent of the things for which an individual would need to see a doctor and know when to escalate to more specialized care. That 80 percent is one of the reasons that I chose family medicine as my specialty. During medical school, I loved all my rotations and performing a variety of clinical procedures. I wanted a career that would offer those diverse experiences, give me a chance to know my patients well and where I would treat different types of patients. Medical students explore the principles of family medicine during all fours years of medical school. In the first two years, contextual care in the bio-psychosocial model is woven throughout all phases of the curriculum. Through the required clerkship in Primary Care and the Education-Centered Medical Home, students experience the importance of continuity of care in acute, chronic and preventive medicine. Additional experience in family medicine is available through elective time, whether in the Chicago area, in rural communities around the country or through international experiences. Our department offers three unique programs to residents. The residency located in Humboldt Park is well established and focuses on training residents to care for vulnerable urban communities within Chicago. 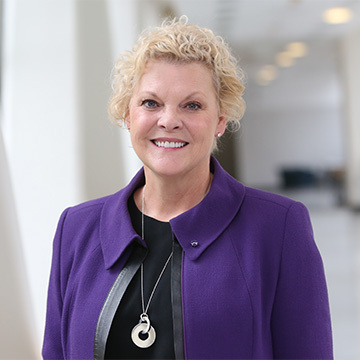 Utilizing the resources of Northwestern, Erie Family Health and our community partners including Swedish Covenant Hospital, residents develop the skills needed to be leaders in community health and improving access for underserved populations. The program based at Northwestern Lake Forest Hospital offers training in two diverse clinical settings in Lake County - Grayslake and Erie HealthReach in Waukegan. Lake county is large, diverse, and dependent upon community based physicians. We have an opportunity to chart the impact of our program on health outcomes in the area 10 or 20 years down the road. The Lake County location is a great opportunity for a resident who might not want to live in the city, but still have easy access to urban amenities, with the strong academic foundation of Northwestern Medicine. The program based at Northwestern Delnor located in Geneva, Illinois is another option for residents who prefer to live in a smaller community with urban amenities. This program offers training in a suburban, traditional practice. Faculty are fellowship trained in Women’s health, palliative care, and sports medicine. There are opportunities in sports medicine, OB, and rural experiences. Northwestern Delnor hospital is family medicine focused. Residents will get dedicated training as family medicine is the only residency program on the Delnor campus. Our department is committed to robust community-academic partnerships, focusing on projects with immediate local impacts as well as generalizable scientific relevance. Residents participate in two projects during their training, typically related to improving educational systems, community health, or patient-centered outcomes. We thank you for your interest in our department and programs and invite you to contact us for more information.